FAP Episode #59 - How Does This Mixer Work Again? On this episode of Fireground Action Photography Craig Durling returns to base camp with Ross Benson, Ted Pendergast and Joe Brown and tries to remember how to do this "podcast" thing. Well, it hasn't been THAT long! Anyway, the panel with catch you up on what they've been up to and will answer listener questions. Check out our friend Andy Thomas as he talks about Fire Photography on the August episode of "Burning Issues". Join our "Fireground" Flickr community, upload your images to the comment/critique forum and join in any of the ongoing conversations. As always, you can find out more about your hosts Craig Durling and Ross A. Benson by visiting their websites. Follow Craig Durling, Ross Benson, Ted Pendergast, Joe Brown and FAP on Twitter. Don't forget to become a fan of FAP on Facebook! Subscribe to and/or download the FAP podcast for free on our download page or via iTunes. On this episode of Fireground Action Photography Craig takes the show on the road once again - this time to Kennedy Space Center at Cape Canaveral, Florida for the 39th and final launch of Space Shuttle Discovery (STS-133). Craig is joined at the NASA launch facility by fellow fire/aerospace photogs Bill Hartenstein, Gene Blevins and Kenji Luster. Share the experience with Craig, Bill, Gene and Kenji as they witness and photograph the final launch of the Space Shuttle Discovery, the oldest of the shuttle fleet. Following the launch the team will share SNAFU's and lessons learned from the event. Click on the shooters' links above to view their images from this historic launch! Join our "Fireground" Flickr community, upload your images to the comment/critique forum and join in any of the ongoing conversations. As always, you can find out more about your hosts Craig Durling and Ross A. Benson by visiting their websites. Follow Craig Durling, Ross Benson and FAP on Twitter. Don't forget to become a fan of FAP on Facebook! Please visit Audible.com and download your FREE audio book on us! Our pick this week is Into the Storm: Violent Tornadoes, Killer Hurricanes, and Death-defying Adventures in Extreme Weather by TVN's Reed Timmer. Subscribe to and/or download the FAP podcast HERE or via iTunes. On this episode of Fireground Action Photography Craig takes the show on the road to Denver, Colorado for ChaserCon 2011. ChaserCon is in its 13th year as the premiere (if not only) National Storm Chaser Convention and is organized and owned by legendary storm chasers Roger Hill and Tim Samaras (Twistex & Discovery Channel's "Storm Chasers"). The convention is held each year in Denver, Colorado, and is geared for the storm chaser, spotter and storm enthusiast. ChaserCon brings us some of the best scientists and forecasters in the world to present at the convention each year. Craig managed to get some exclusive interviews with Roger and Tim as well as some of your other favorites from Discovery Channel's "Storm Chasers", TVN's Reed Timmer and Chris Chittick. Check out the ChaserCon site for info on next year's conference! Subscribe to and/or download the FAP podcast HERE. On this episode of Fireground Action Photography Ross and Craig are joined by photographer Gene Blevins for a chat about some of things we've been up to while fire activity has been low in the So Cal area. We chat about the impending launch attempt of Space Shuttle Discovery and the recent historic Delta 4 Heavy launch from Vandenburg Air Force Base in California. Craig and Gene recently returned from covering the Consumer Electronics Show in Las Vegas and Craig reviews the memo just released from DHS regarding the rights of photographers in and around federal buildings and properties. These topics and more on this episode of Fireground Action Photography! Join our "Fireground" Flickr community, upload your images to the comment/critique forum and join in any of the ongoing conversations. Chat with fellow photographers in our new Fireground Chatroom. As always, you can find out more about your hosts Craig Durling and Ross A. Benson by visiting their websites. Follow Craig Durling, Ross Benson and FAP on Twitter. Don't forget to become a fan of FAP on Facebook! Please visit Audible.com and download your FREE audio book on us! Our pick this week is "Fire on the Mountain: The True Story of the South Canyon Fire" by John MacLean. 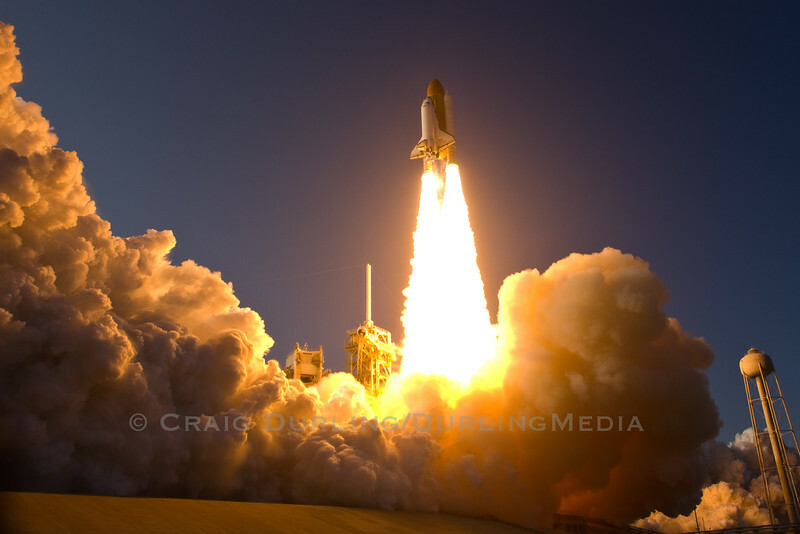 On this episode of Fireground Action Photography Ross, Craig and Timothy Tonge chat about Craig covering the launch or "non-launch" of Space Shuttle Discovery which has been delayed numerous times. Ross and Craig debrief a recent house fire in Glendale, California ("Brockmont I/C") and Tim jumps in for a discussion on the value of photographing fire department training, both for the photographer AND the department. These topics and more on this episode of Fireground Action Photography! Please visit Audible.com and download your FREE audio book on us! Our pick this week is "Sahara" by Michael Palin. On this episode of Fireground Action Photography Ross and Craig recap the recent IFPA Fire Photography Workshop which was held in early August in Burbank, California. They'll also debrief "Santa Anita I/C" - a major commercial structure fire they both covered. A commentary is given on the recent camera seizure of a New Hampshire-based fire photographer. Please visit our new sponsor Audible.com and download your FREE audio book! On this episode of Fireground Action Photography we sit down with our old friend and renowned southern California action photographer Gene Blevins. Gene shares his path, experience and stories from over 30 years of action photography. Check out Gene's work at DailyNews.com, Sportsshooter.com and his Facebook page. As always, you can find out more about your hosts Craig Durling and Ross A. Benson by visiting their websites. Follow Craig Durling, Ross Benson, FAP, Gene Blevins and Timothy Tonge on Twitter. Don't forget to become a fan of FAP on Facebook! On this episode of Fireground Action Photography we come to you from the apparatus floor of Burbank, CA Fire Department headquarters and Fire Service Day 2010. Ross and Craig once again present a multimedia display of fire related photos and videos and speak with hundreds of interested visitors. Some friends of FAP also stopped by for a visit - Dave Mills, Ryan Babroff and Dan Miller (who drove all the way down from Bakersfield!). Join our "Fireground" Flickr community, upload your images to the comment/critique forum and join in any of the ongoing conversations. As always, you can find out more about your hosts Craig Durling and Ross A. Benson by visiting their websites. Follow Craig Durling, Ross Benson, FAP, Dave Mills and Ryan Babroff on Twitter. Don't forget to become a fan of FAP on Facebook! Members of the public attended the Fire Service Day event held at Los Angeles County Fire Department station 129 in Lancaster, California on May 14, 2016. The event featured a chili cook-off, interactive displays and demonstrations by the Sikorsky S-70A Firehawk helicopter, Urban Search and Rescue (USAR), live auto fires, physical rescues, hoist rescues, helicopter water drops and more. Revisiting Old Images - Does Modern Software Make It Worth It? Los Angeles to Boston in 2 Minutes! All original content is Copyright © Craig Durling. Please contact for usage.